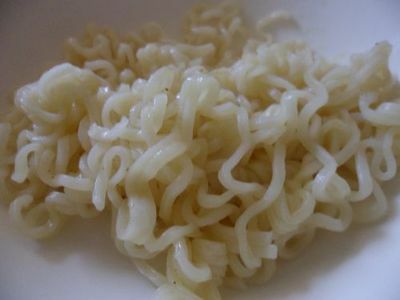 I love eating noodles, but unfortunately my skills with cooking them aren't so good. 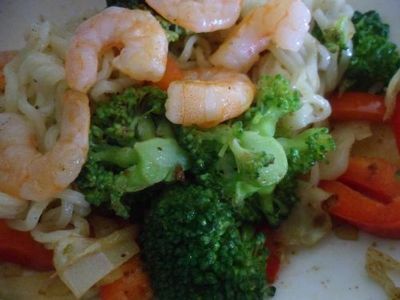 Luckily, I found a recipe similar to this one, added some of my own favourite ingredients, and mustered up a flavour filled singapore noodle dish that is quick, easy, and mild, for the whole family to enjoy over lunch or dinner. This recipe is very versatile - you can add just about any of your favourite vegetables, and can interchange the prawns with sliced pork for a flavour changeup. 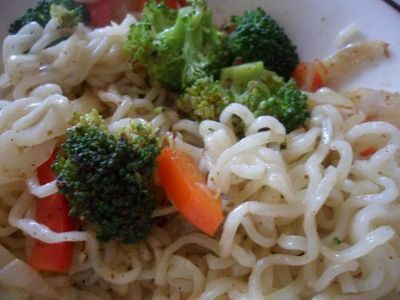 Cook the instant noodles in a pot of boiling water according to the packet instructions, but without adding the flavour sachet. Once cooked, drain the noodles. Meanwhile, heat the peanut oil in a pan or wok. Add the curry powder and cook for 30 seconds. 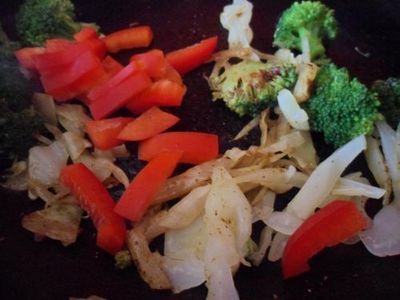 Add your choice of mixed vegetables, chopped into small, bite size pieces, and cook until softened. Slice the capsicum, add this to the vegetable mixture, and stir through for another minute or so. Divide the noodles evenly between bowls. 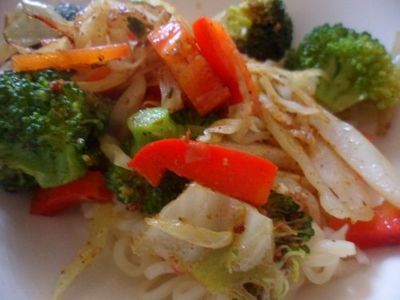 Top each bowl with vegetable mixture and gently toss the noodles and vegetables together. 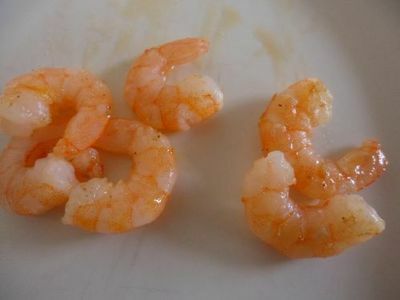 Place prawns into the emptied vegetable pan and cook. Top each noodle bowl with prawns, and serve.